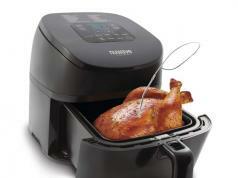 Here is another air fryer that lets you cook your food with less oil. 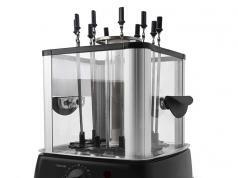 The Nuwave Brio has 10-qt capacity, digital timer, and automatic shutoff functionality. The device has an advanced touchscreen display. 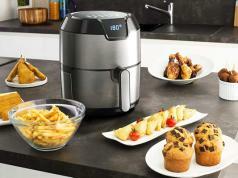 The air fryer has a temperature range of 100 to 400 degrees. 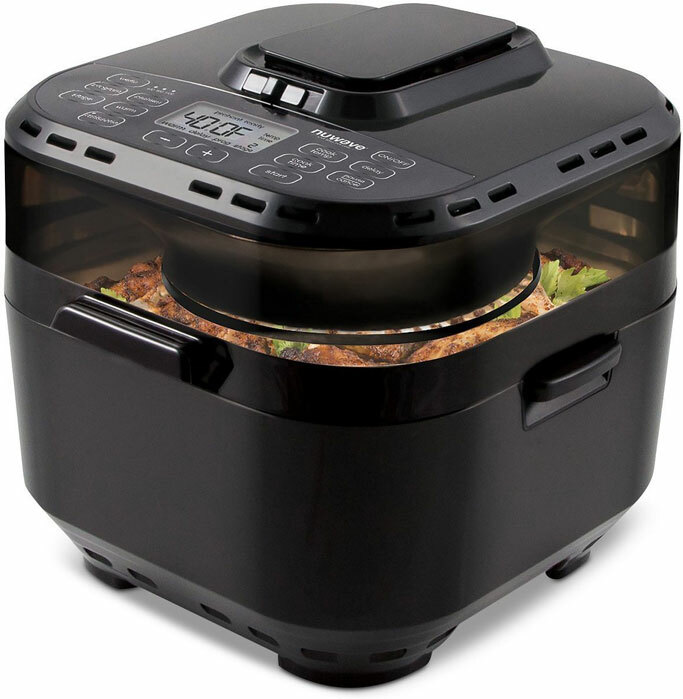 It features 100 programmable cooking recipes.